It is hard to believe, but Battle on the Beach will be back for the 6th event and for 2019 it will take place on April 6/7th. As with every year to date we are forced to pick a date where the tides suit, giving the lowest possible tide, which means the fastest sand while the race start from Midday. We have been working hard as always to keep improving on the event and make sure it matches everyones expectations. We are now counting down the day to 2019 entries being released (on Jan 1st as always if you didn’t already know!). Simpler entry options – For 2019 there will just be a single ticket option, which will include camping and include entry to both Battle in the Dark and Battle on the Beach. There is an optional “extra camping package” which allows camping from Friday night to Monday for just £10. 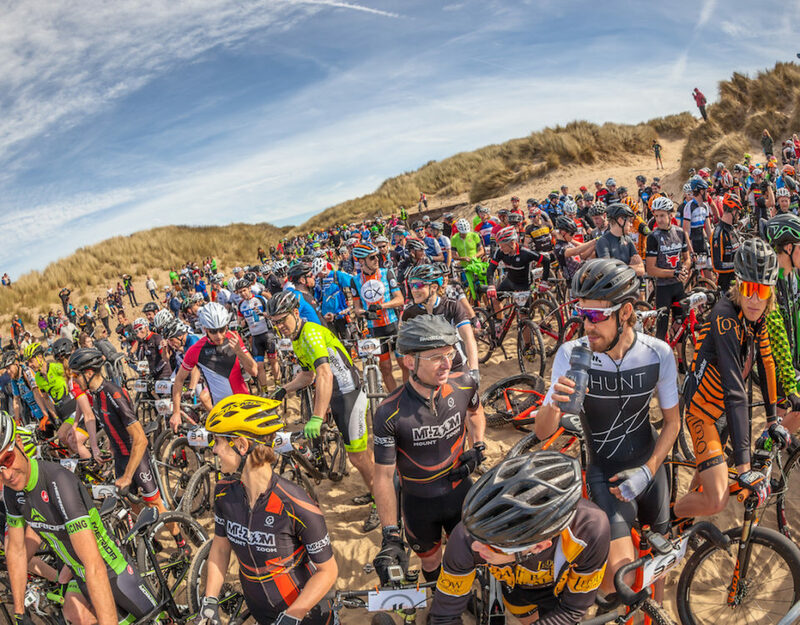 The benefit of the new, single option ticket will be that riders only wish to take part in the main event will not be charged a £5 car entry fee as in 2018, so long as arrival is within gate manned hours, else a £2 per vehicle charge will apply. This is something that we have no control over. Rotor Battle in the Dark – We are very excited to welcome Rotor Bike Components as new sponsor for Battle in the Dark. The TT event has become extremely popular over the previous 3 years. The first rider is expected to start at 20:15 and all riders will be set off at 10-20 second intervals. £100 prize for fastest male & female riders with prizes for 10th, 20th, 30th and so on. Saturday Night Entertainment – With more and more people choosing to make a weekend of event and the move to April (and hopefully warmer nights!) we will have lots going on through the evening with live music and entertainment on Saturday. For those keen to get their beauty sleep it won’t go on too late. Youth Races – Once again we will have races available for all ages, with U8, U10 and U12 to U14 events taking place on Saturday afternoon. Ages 14+ can take part in the main event. The new event arena area will mean some fantastic courses will be possible. Seeded places – For 2019 the number of seeded places will remain at 100. This will include all riders who finished inside the top 60 overall Male and top 10 overall female at the 2018 event, plus all age category winners. The remaining seeded places will be open for riders to request a seeded place with information on how to do that available from Mid-January onwards. Small course changes – We think we have managed to improve on the course available year on year, so do not expect a massive change for 2019. However, there may be a new beach exit point used and small changes elsewhere. The separate lap 3 idea will remain, meaning the top riders can have a free run to the finish and the riders enjoying themselves don’t have to stress about racers charging up behind them. What stays the same – Everything that makes the event unique will remain the same. A mass start with 3 laps of a 15km course for all standard categories (2 laps for fun race). All bikes are welcome and all take part in the same race. 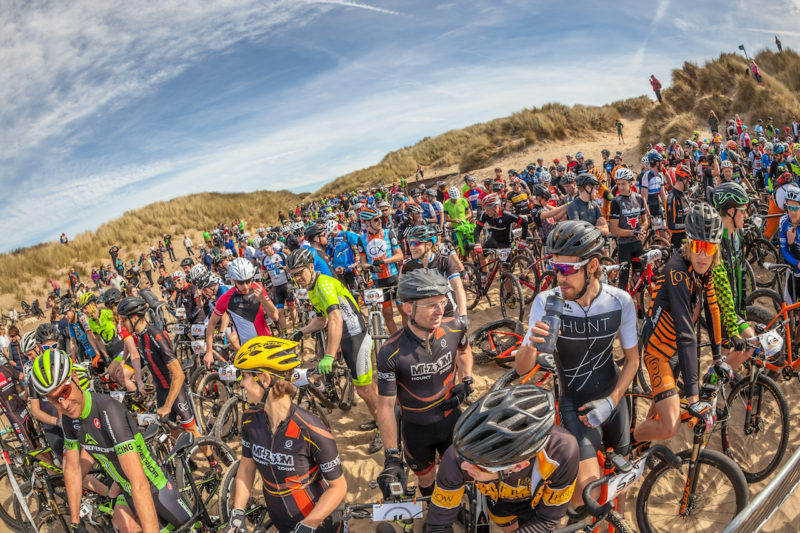 Mountain bikes, cross bikes, tandems, fat bikes, beach racers and everything in between. Big thanks to the continued support of the event sponsors: Schwalbe, Lezyne, Surly, & Squirt Lube & Rotor Bike Components.